Ready to get your game on and cheer your team to a victory from the comfort of your living room? Of course you are! Because now that you’re a parent meeting friends at a pub is kinda sorta out of the question. And traveling to a game? Well, that would mess up everyone’s nap schedule royally; not to mention the expense that you could be filtering to important things like Disneyland trips and college savings funds :) So, settle into that cozy couch, my friends, and get ready to enjoy the big game from the scenic view of your own home. 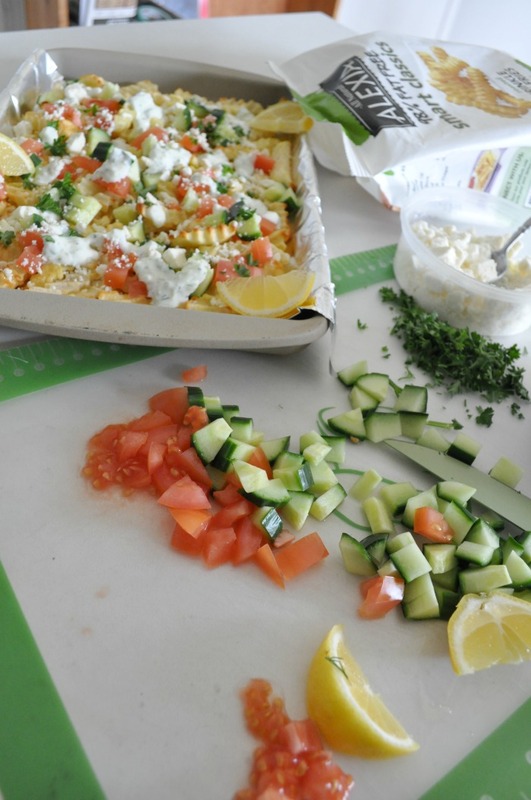 Not only can you pause and replay on a whim, you can wear your pajamas and this mama can inspire your game day grub in a big way. I’ll forewarn you though, lock the doors when the game starts, because if the neighbors catch wind, or scent, of this deliciousness, your house will become the popular gathering spot for games, big and small! 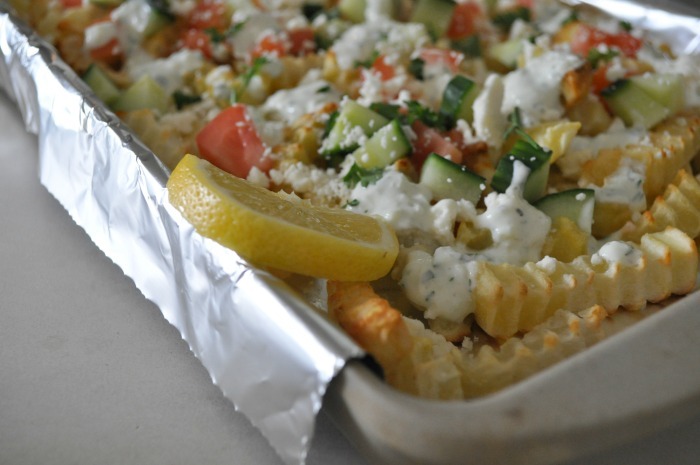 Oh Lordy, I, who rarely counts down the days to a big game, can’t wait because these Greek style fries are heaven on earth. HEAVEN. ON. EARTH. I tell ya. 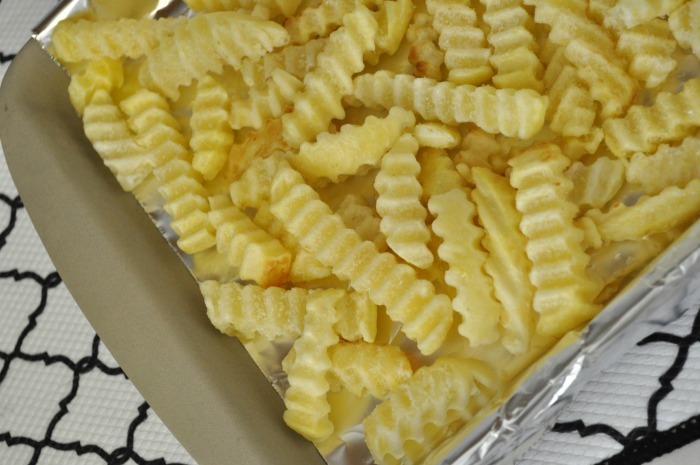 Regardless of the game outcome, I’ll be counting any munchie spread that includes these fries a huge win! 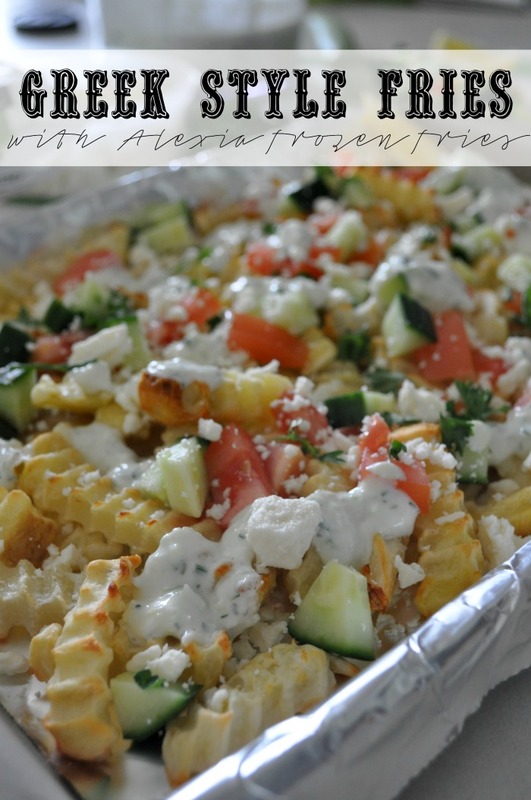 Line a baking sheet with foil (easy clean up!) 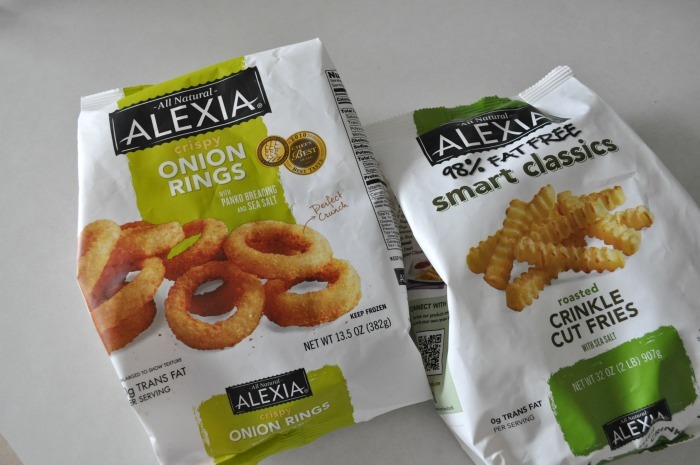 and bake your Alexia Smart Classics Crinkle Cut Fries according to package instructions … 450 degrees for 15-30 minutes or so. 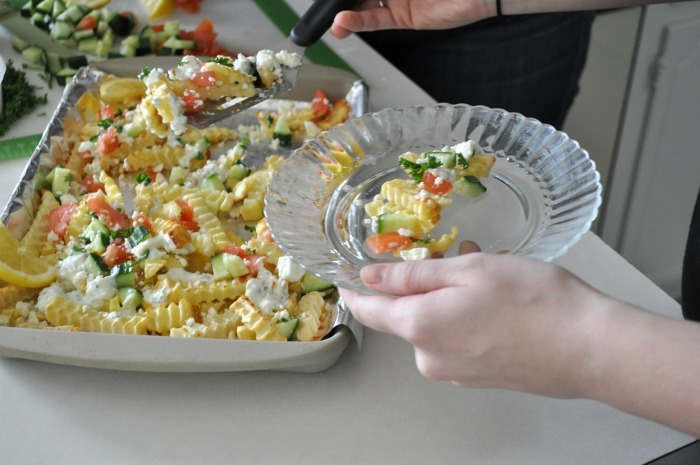 While they bake – prep, mix and chop! 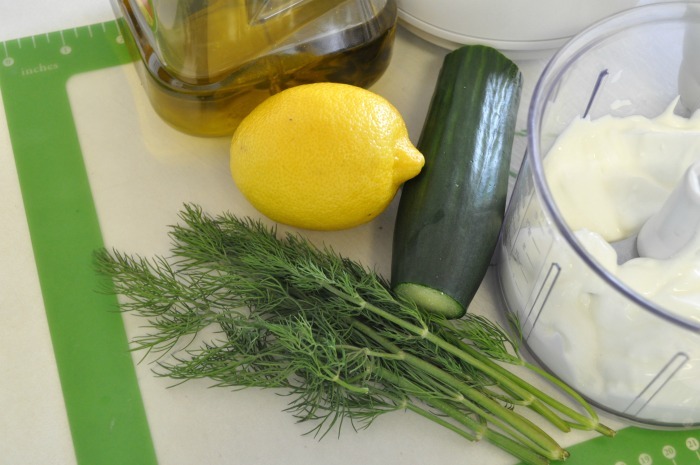 First, blend all your tzatziki ingredients. 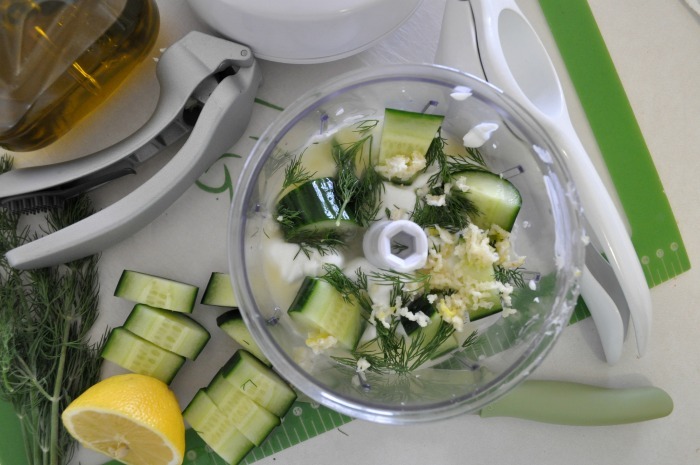 I used a manual food processor and it worked wonderfully. Set aside. Second, chop your cucumber and tomatoes into small, bite-sized pieces. Last, mince your parsley. 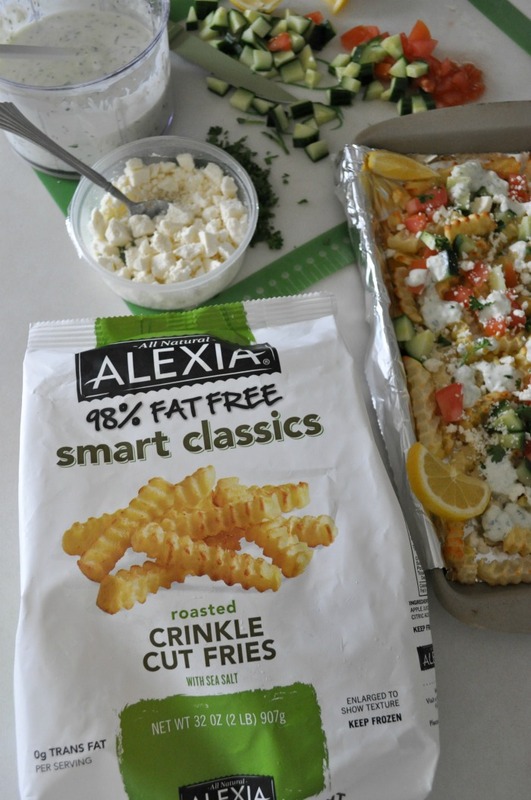 When your Alexia fries make their debut from the oven drizzle them with your homemade tzatziki, top with cucumbers, tomatoes and feta. 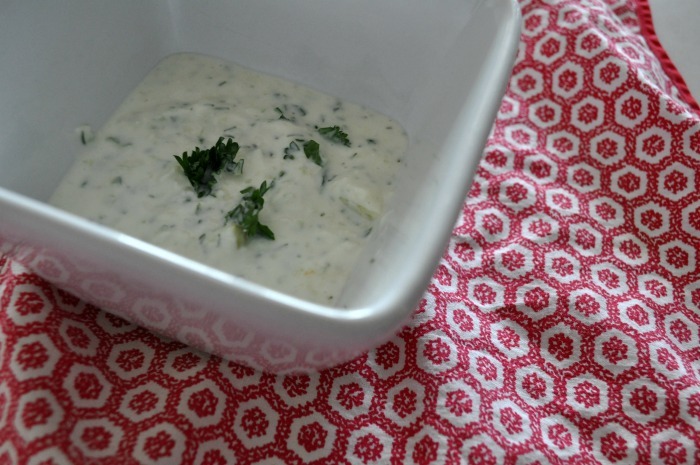 Drizzle with tzatziki again … because, YUM! Add a pop of parsley across the top and a few squeezes of lemon. 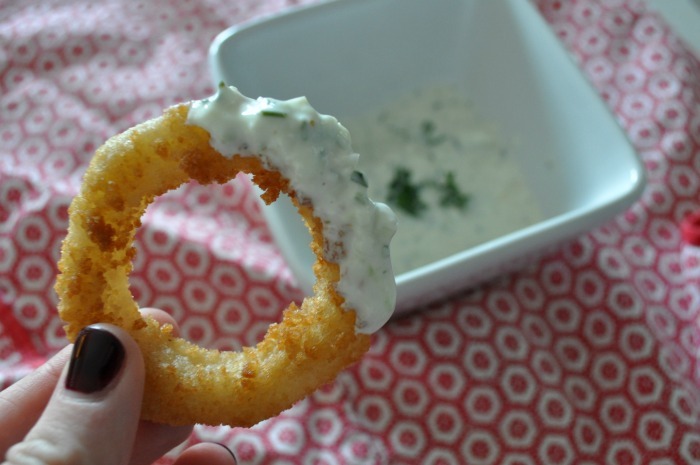 Finally, pop your onion rings into the oven … they’ll be piping hot just in time to scoop up any leftover tzatziki. 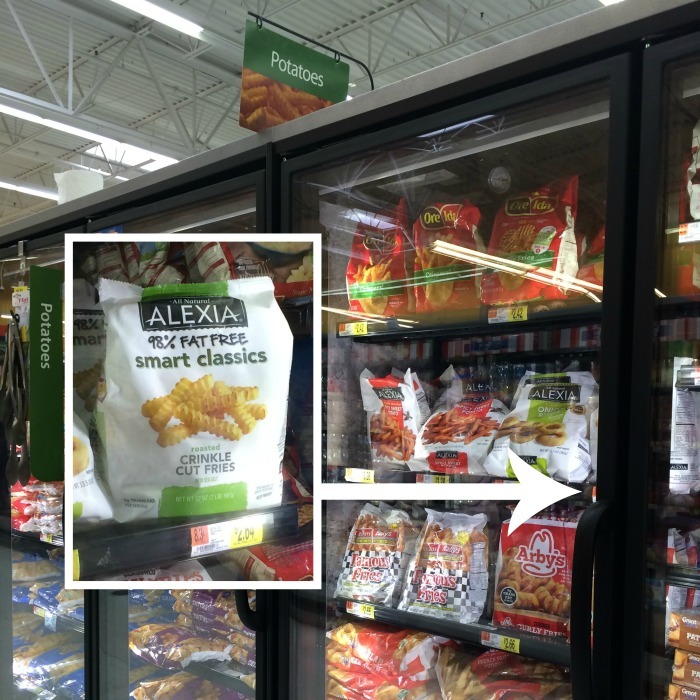 Don’t miss Alexia on Facebook and Pinterest – you’ll find recipes, newsletter promotions and more!